ZURICH, Switzerland, August 4, 2015 (ENS) – The current rate of glacier melt around the world is unprecedented in recorded history, new research by the World Glacier Monitoring Service demonstrates. Based at the University of Zurich, the World Glacier Monitoring Service compiles the results of worldwide glacier observations in annual calls-for-data from its national correspondents in more than 30 countries. The current database contains more than 5,000 measurements of glacier volume and mass changes since 1850 and more than 42,000 front variations from observations and reconstructions reaching back to the 16th century. In this study, observations of the first decade of the 21st century were compared to all available earlier data from in-situ, air-borne, and satellite-borne observations and to reconstructions from images and written sources. “The observed glaciers currently lose between half a meter and one meter of its ice thickness every year – this is two to three times more than the corresponding average of the 20th century,” explains Michael Zemp, director of the World Glacier Monitoring Service and lead author of the study. 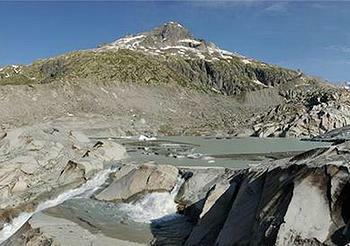 The study shows that the long-term retreat of glacier tongues is a global phenomenon. Intermittent re‐advance periods at regional and decadal scales are normally restricted to a subsample of glaciers and have not come close to achieving the Little Ice Age maximum positions reached between the 16th and 19th century, the study concludes. Glacier tongues in Norway have retreated by some kilometers from its maximum extents in the 19th century. The intermittent re-advances of the 1990s were restricted to glaciers in the coastal area and to a few hundred meters. The study indicates that the intense ice loss of the past two decades has resulted in a strong imbalance of glaciers in many regions of the world. 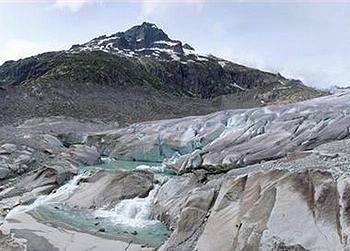 “These glaciers will suffer further ice loss, even if climate remains stable,” said Zemp. The World Glacier Monitoring Service is hosted at the Department of Geography of the University of Zurich. It is co-financed by the Federal Office of Meteorology and Climatology MeteoSwiss within the framework of GCOS Switzerland. In close collaboration with the U.S. National Snow and Ice Data Center and the Global Land Ice Measurements from Space initiative, the WGMS runs the Global Terrestrial Network for Glaciers in support of the United Nations Framework Convention on Climate Change.